MINT Very Lightly Hinged - Full Original Gum. made with love by. 1909 King Edward VII SG107 6d. 1882 2 1/2d on 1d Lake SG40. Year of issue: 1882. St Vincent. Fine & Fresh Lightly Mtd Mint. Condition: Lightly Hinged. Grade: Fine. Occasionally we all make mistakes, and if we do we fix it. Type: Single. Pax & Justitia Group Redrawn with dot under D. SG 102 SG 106. Catalogue Value £25 . MINT Very Lightly Hinged - Full Original Gum. Add to Favourites. ST VINCENT Queen Victoria 1885. MINT Very Lightly Hinged - Full Original Gum. Catalogue Value £40 . St Vincent 1885 QV. 1d on 2 1/2d on 1d lake. MLH. SG 46. One Penny Rose-Red. made with love by. Catalogue Value £50 . MINT Lightly Hinged - Original Gum. St Vincent 1921 £1 mauve & black MLH cat £120 ($156). SG 141. Sc 131. St Vincent 1921 £1 mauve & black mint lightly hinged. Patchy gum. Made with love by. Catalogue Value £110. 1916 1d Red SG122a. St Vincent. Fine & Fresh Lightly Mtd Mint. Opt Double in Pair with Normal. 1888 5s Lake SG53. St Vincent. Fine & Fresh Lightly Mtd MInt. Occasionally we all make mistakes, and if we do we fix it. txzj pxzj2837 txzj67. SG 99 & SG 100. 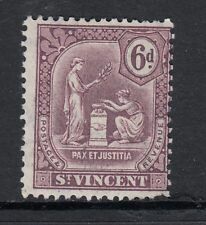 Pax & Justitia Group without dot under D. MINT Very Lightly Hinged - Full Original Gum. St Vincent 1888 5s Lake SG53 Fine & Fresh Lightly Mtd Mint. 1938 £1 Purple & Black SG159. St Vincent. Year of issue: 1938. Fine Lightly Mtd Mint. Condition: Lightly Hinged. Grade: Fine. Occasionally we all make mistakes, and if we do we fix it. Type: Single. 1899 Queen Victoria SG67 1/2d. Mauve & Green Mint Hinged ST VINCENT. 1938-47 Short Set. SG 149-154. ST VINCENT. The SG number is given for a guide only. Lightly Hinged Mint. MLH - Mint Lightly Hinged – Good clean stamp with little or no hinge remainders. MNH - Mint Never Hinged. 1893 Queen Victoria SG60 5d. Lake Optd. Mint Hinged ST VINCENT. Lightly hinged in an album, 4" high x 5" wide. Printed by John Waddington, Leeds. In good condition. ST. VINCENT SG98, 3d violet, M MINT. 1975 Tourism. SG 451-455. ST VINCENT. The SG number is given for a guide only. Lightly Hinged Mint. MLH - Mint Lightly Hinged – Good clean stamp with little or no hinge remainders. MNH - Mint Never Hinged. 1938-47 1s Purple & Green. ST VINCENT. The SG number is given for a guide only. Lightly Hinged Mint. MLH - Mint Lightly Hinged – Good clean stamp with little or no hinge remainders. MNH - Mint Never Hinged. GV1 1949 new currency. 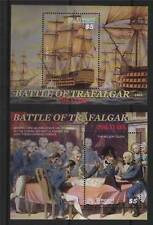 7c blue-black & blue-green sg 170 very lightly hinged mint. 1915 King George V SG121 1d. Black on Green Mint Hinged ST VINCENT. Very nice mint light hinged issue. FOG = FULL ORIGINAL GUM ALL PERFS INTACT Initialed / Signed. Specialized British ". 35 Stan/G #. WELL CENTERED = #1-#53, #55-#60 will have. Design: "Queen Victoria" Side Portrait. To Find with This Quality and Affordability. ST VINCENT 83 MINT LIGHTLY HINGED OG * NO FAULTS EXTRA FINE ! 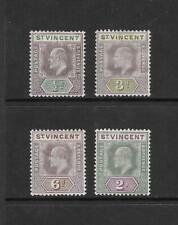 SAINT VINCENT QEII 1955-63 Complete Set of 12 Scott 186-197 SG189-200 Mint Lightly Hinged Catalogue Value £26. ST VINCENT 103 MINT LIGHTLY HINGED OG * NO FAULTS VERY FINE! 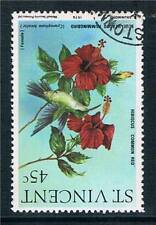 ST Vincent Scott # 54 VF mint lightly hinged nice color cv $ 33 ! see pic ! ST VINCENT 98 MINT LIGHTLY HINGED OG * NO FAULTS VERY FINE!